If you’re inspired, enthusiastic and up for a challenge then we want to hear from you! As Herefordshire’s favourite homegrown boutique festival we’re seeking talented volunteers to support the creation and development of this diverse and innovative event with the community at its heart. Whether you’re interested in volunteering just to get in free to see the amazing line up over the weekend, or if you are looking for something more involved to add wealth to your experience, we could have the opportunity for you so take a look at the roles on offer below. Nozstock has spawned some incredible talent – folks who began their humble roots here on the farm and are now working at some of the largest festivals, arts organisations and agencies in the world. Come, join the fold! If you’re nifty with a swifty, got the gift of the gab, or frankly are just an ultra-nice human being, then grab yourself free entry to the most community-minded festival around and join our volunteer crew. 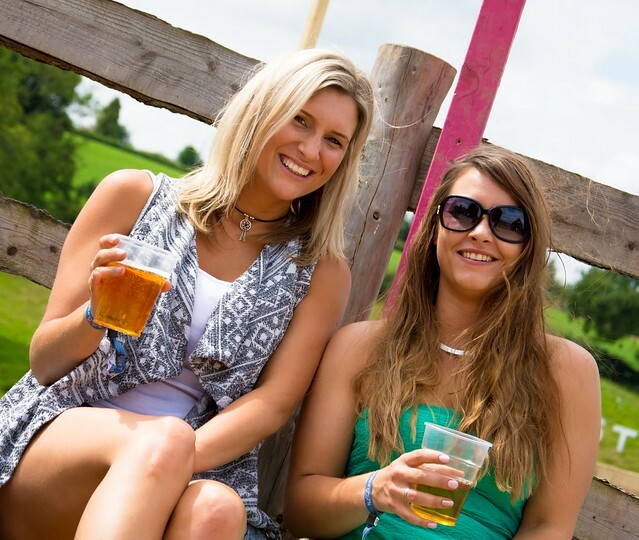 We accept only the loveliest bartenders, stewards and customer service wonders here at Nozstock, and you could be part of that rather nice collective. You’ll be asked to complete approx. 15 hours over the weekend, so frankly it’s a snip for the ticket, and you’ll get to make some of the best friends of your life. If you’re camera savvy and fancy helping us document Nozstock this year then please cast your eye over our opportunities. You’ll get some great footage for your portfolio and work with a lovely team of up-and-comers. Make contacts, share ideas, and get shooting. Please only apply for either a photographer role OR a filmmaker role. Working as a kitchen assistant under the supervision of the head chef and co-ordinating with a small team. You will be assisting in all kitchen duties including preparation, cooking, serving and cleaning of the kitchen areas. You will need to buy a ticket which will be reimbursed on completion of your agreed hours. We are searching for a competent electrician to join our small volunteer team. The ideal candidate would have a range of experience and be available from for a week before and during the festival weekend. Daily tasks would include maintenance, PAT testing, safety checks, connecting stages and stall holders to power supplies with cee-form cables – keeping balance on site wiring and problem solving. The successful applicant must be good at following detailed instructions and be adaptable, and able to work under pressure. Experience with networking and CCTV systems desirable but not essential. Must be willing to work on ladders and in confined spaces. This is a fun way to put your skills to good use, learn more about events and meet a like minded group of people. To apply for the role please email your C.V and a short covering letter to work@nozstock.com with the subject ELECTRICIAN. The brightest creative sparks delivery colour, beauty and downright surreal imagery to every corner of Nozstock every year. From amazing stage designs, to quirky signage, we’re lucky to have some of the best talent on board. Ever seen such a carefully created spectacle? We didn’t think so! It takes time and dedication to bring the world of Nozstock, and its annual theme, to life, but if you’re bursting with ideas, have a keen urge to experiment and can be resourceful and willful in getting your inspirations beyond the realm of the imaginary, then Nozstock decor could be for you. We’re looking for collectives and crews as well as one-man-bands that are looking to spark off new creatives so whatever your level, we’d like to know more. Check out our Flickr to see some of the wonderful creations that have dotted the site over the years. If you can smile in any situation and have a thirst to get into the nitty gritty of festival management, then becoming an admin intern at Nozstock could be for you. Our interns are the backbone of the festival, putting together the processes that make Nozstock work. They write content for our website and newsletters, research music, arts, films, as well as supporting us with our relationships with charity and media partners. Over the festival weekend, they provide tip-top customer service to our treasured punters. They design, they slog it and they deliver. If you have an understanding of MS Office and/or Google Docs, as well as e-mail, some experience with personnel and budgeting, a methodical approach and strict adherence to detail, and you want a rounded production experience then get in touch. You should be friendly and outgoing, happy to ask questions and chase answers and keen to work as part of a team. If you are up for the challenge please send a statement of your skills and experience (approx. 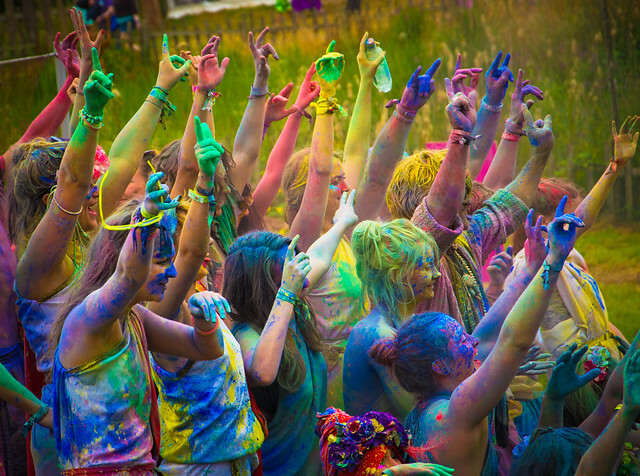 300 words) with a CV to work@nozstock.com with the subject ADMININTERN. Handy with a hammer? We are looking for keen bods to join our volunteer construction team to help build the festival you love. This position would suit a tradesman who is now looking for a part time project and the opportunity to develop contacts and share knowledge. However, keen is the key so any skill level will be considered. Successful applicant will be a creative problem solver who enjoys helping others and being able to immerse themselves in a project right through from design to build completion. The right candidate would work on a range of jobs from building a full scale stegosaurus to putting down wood chip in areas of uneven ground. Our construction team work against the clock to produce Nozstock, but maintain a key eye for detail. They thrive in a busy work environment whilst remaining health and safety conscious. Ideally this is a pre-festival role with regular trips to the farm in Herefordshire required, but a limited amount of over-the-weekend applications will be considered for the right applicant.